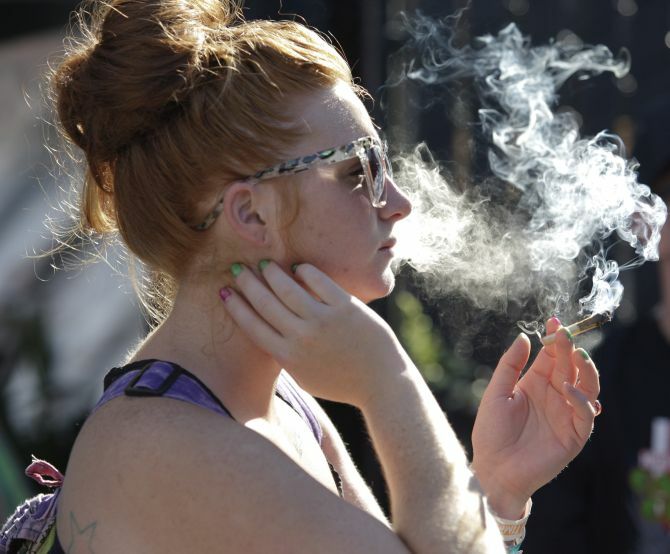 Washington on Tuesday became the second state to allow people to buy marijuana legally in the US without a doctor’s note as eager customers who lined up outside stores made their purchases and savoured the moment. 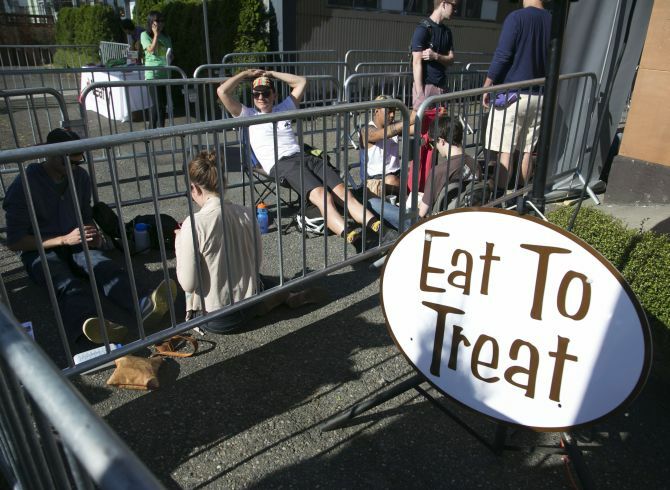 Ahead of the stores opening, people lined up in Washington to become part of pot history in US. 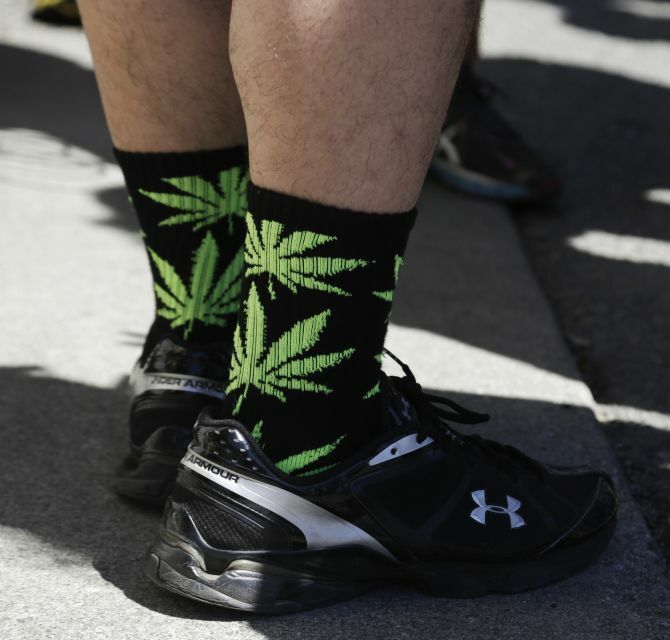 A man paying homage to the moment, dressed up in socks with marijuana leaves printed on them. Employees stock shelves at Cannabis City before their high noon grand opening during the first day of legal retail marijuana sales in Seattle. People wait for the "high noon" grand opening at Cannabis City during the first day of legal retail marijuana sales in Seattle. Deb Greene of Seattle, the first customer at Cannabis City, holds up her purchase signed by owner James Lathrop during the first day of legal retail marijuana sales in Seattle. Eager customers lined up before dawn on Tuesday as Washington became the second US state to allow the sale of marijuana for recreational use. 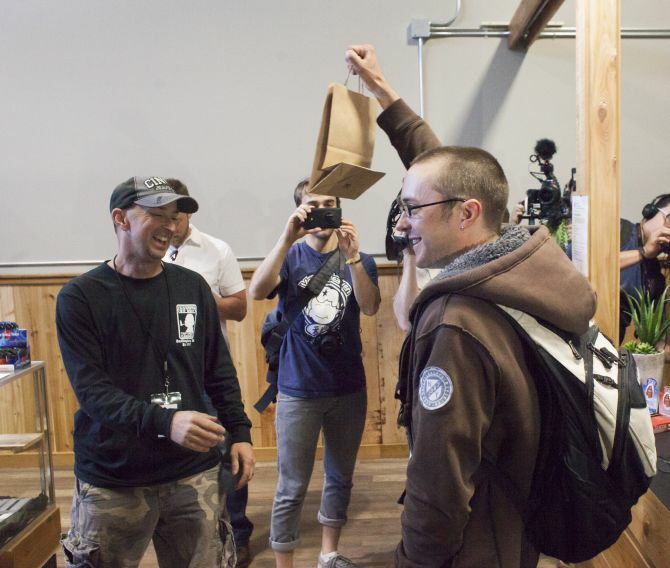 Cale Holdsworth, in town from Kansas to visit family, celebrates after purchasing two grams of marijuana strain in Bellingham, Washington. 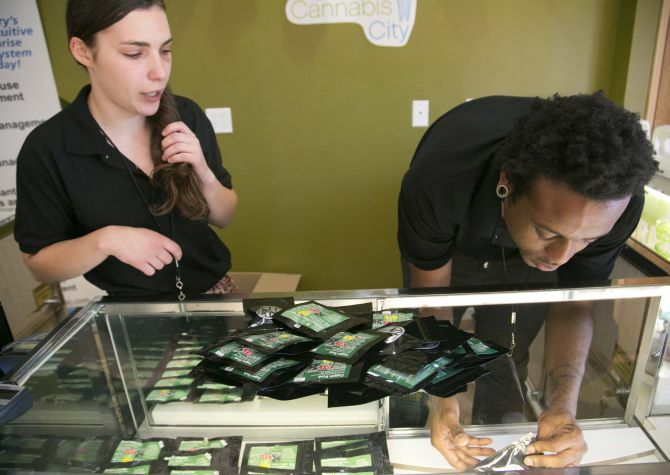 Top Shelf Cannabis was the first retail marijuana store to open in Washington state.